Put simply, "The Hunger Games" is a behemoth. This is one of those films that will leave a mark with its daring audacity to shake a genre down to its knees - a genre much better known for its love triangles and shallow plots. 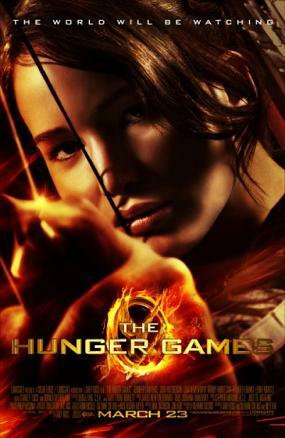 "The Hunger Games" effectively proves that young adults can have serious mature themes that go down deeper than first impressions. While the film did forget to focus more on the moral issues the story wants to portray, the tension and the atmosphere alone is already worth the ticket price. In the near future, North America is completely obliterated and is now known as the nation of Panem. 74 years before the events of the film, the 13 poor districts of Panem rose up against the Capitol, the city of the wealthy. The 13 districts lost (with the 13th district getting destroyed in the process) and as punishment, the Capitol holds an annual event called The Hunger Games in which all of the 12 districts must give tributes from 12-18 years old (one male, one female). All of the participants shall fight to the death until one remains. In District 12, Katniss Everdeen (Jennifer Lawrence) volunteers to be the female tribute when her younger sister is chosen. With her is Peeta Mellark (Josh Hutcherson), a baker's son, who isn't physically fit to fight but has an ability to camouflage himself well. Both must face the other 22 participants not only in the arena but they must also capture the hearts and minds of the sponsors two weeks before the actual games. The best part about "The Hunger Games" is that it perfectly captures the tension and fear and even bravery that the participants have to face with by joining the games. Every nuanced reaction seems and feels authentic and it is this realism that propels the film to something that's truly memorable. Of course, the whole film was greatly influenced by Jennifer Lawrence who showed jaw-dropping acting with a balance of softness, rigidity and macho that her overtly-complicated character demanded. Without her perfect performance, "The Hunger Games" would not be as good or as effective and wouldn't be the tour-de-force that it is. The cinematography was also another positive thing that adds to the immersive experience of "The Hunger Games". The only qualm we have is that the film focused too much on the jungle scenes that it completely forgets to develop the subliminal moral issues the story tries to tackle. While there are mini commentaries (mostly from the character of President Snow), the feeling of a dystopian or even communistic-like system is completely lost. Another negative is that the "love story" between Katniss and Peeta seems underdeveloped. In an instant, the two are "in-love". Even if this was only a ploy by Katniss so they could get an advantage over the other participants, this was not clearly explained. Even with its long running time, we wished it could have been longer if this means it could explain more and explore more. Overall, even with its setbacks, "The Hunger Games" is still a film that shatters the perception of what we can expect from young adult adaptations and films. It's mature tone and deep moral issues will make you think but it also offers a mix of action, drama and thrill that won't bog you down.